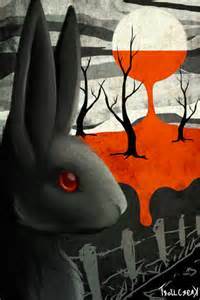 *The following is inspired by the great Watership Down by Richard Adams, The Wind in the Willows by Kenneth Grahame and William Horwood’s Duncton stories all of which I highly recommend. Works of beauty all. Anything by William Horwood is worth reading. I shall leave links at the end for their books. I may do two more as a follow-up to this? I shall see on any comments and likes as well as where I can take it to next? Did you mean to write: the sky as in “Sprouting smoke into the sky”? Thank you and oops! I’m such a Muppet! 😉 Keyboard stuck. Really must check properly. Not concentrating and I’m flitting between this site and writing a novel. Thank you again. Yes, very true indeed as humankind spread further across the land, more and more of life is being wiped out. Can’t remember the total everyday that is being wiped off the face of the earth but it is in its thousands sadly.